Veronica Mars A Go At Hulu With Past Episode Bonus Deal - Are You Screening? Kristen Bell shared the news today that Veronica Mars will be returning to your living room, and Hulu is going to be where you’ll find the show’s return. It’s going to be hitting next year, probably mid-summer, and the special bonus news is that all past episodes (and the 2014 film) will also be available on Hulu starting summer 2019. The series has a direct order for an 8-episode run that will be part of the new slate of Hulu Originals. The series will center on events in Neptune which find spring breakers getting murdered. 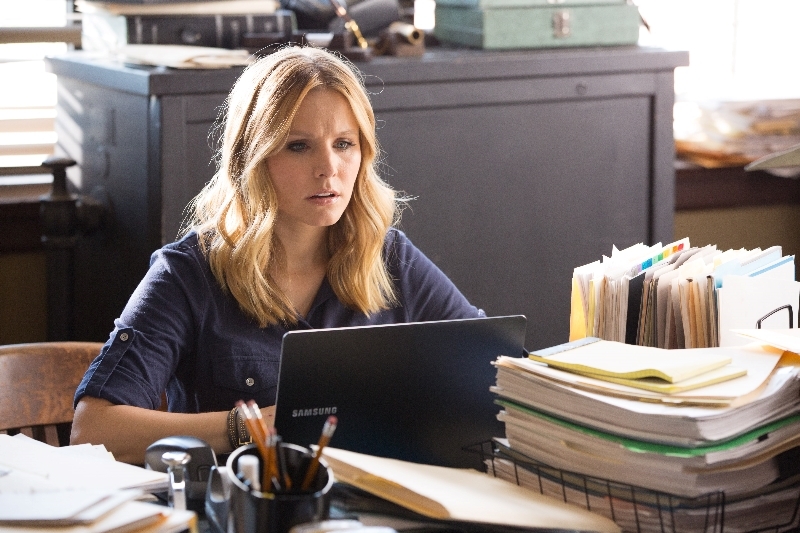 The show’s return, especially following the marginal success of the 2014 film, is a testament to the growing brand that is Kristen Bell, who is apparently in love with being Veronica Mars. Be that as it may, there’s every reason to believe that this is going to be a fantastic series, and it’s going to be interesting to see who else will find their way on board this one as next summer approaches. It’s hard to imagine that a show that only lasted three seasons, fourteen years ago, on UPN no less, is still considered viable enough to be worthy of a return, but the show had a kind of magic. If a new version, with a new mode of delivery, can capture any of that, this could be a huge win for Hulu.